There is temptation to think the future has arrived; that we are in a new and glorious age where computers can think for us; a world in which an algorithm can pinpoint your one true soulmate out of a crowd of singles. But there is much computers simply cannot do, such as account for hyperbole and fabrication in a dating profile. The same holds true of online home valuations. They are interesting but limited. We talk to a lot of prospective sellers. Rarely do they fail to bring up the “Zestimate” for their home. This drives agents crazy. The Zillow algorithm is impressive for what it is, but every home is more than its bed count and year built. Some homes were remodeled with upscale finishes, whereas the house next door is mostly original (and not in a good way). Zillow doesn’t know. It doesn’t see curb appeal. It might factor in that the house has a Sound view but all views are not equal, even when homes are side-by-side. Until you physically walk through a house it is hard to really understand it. There are sights and sounds and smells that require human senses. There is much variability in the way homes are treated and cared for. Some owners show their love for their home with meticulous maintenance of every component, whereas the neighbors might show their love by living hard in it. Those differences affect value and they are not well accounted for by a website that can’t see through the roof. I recently made a spreadsheet with every sale in north Tacoma during the month of October 2018. I compared the actual sale price with Zillow’s Zestimate at the time. Here is what I found. The Zestimates were off by an average of 13.67%. That is a HUGE number when you understand that the average sale price was $425.000. This means Zillow is off $60,000… on average! Zillow is far more likely to overestimate your value than to underestimate, confirming a suspicion most Realtors probably have. They were low 34% of the time, whereas they were too high 68% of the time. Zillow did not do too badly in terms of how often they are within 5% of being correct. That happened 58% of the time. They were more than 10% off base 28% of the time. I also looked at Redfin estimates. They were off by an average of 6% or about $25,000 which was closer than Zillow. Redfin was more likely that Zillow to be within 5% and less likely to be outside of 10% off. But Redfin did worse in one important aspect. Redfin is far more likely to give you an estimate that is too high. Matt has long felt that this was the case. He points out that since they are in fact in the business of selling homes they are motivated to troll for prospective seller clients with a flashy number. Both sites are considerably more likely to be too high than too low, but Redfin was worse. They were high on their estimate 87% of the time. They only underestimate 13% of the time. These automated estimates are not bad, but until computers learn how to see through the roof of our homes, the best estimate of value will always come from humans. I read this article and found it very interesting, thought it might be something for you. 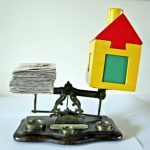 The article is called How Accurate are Online Home Valuations? and is located at https://www.thehumegroup.com/listing-your-tacoma-home/accurate-online-home-valuations/.